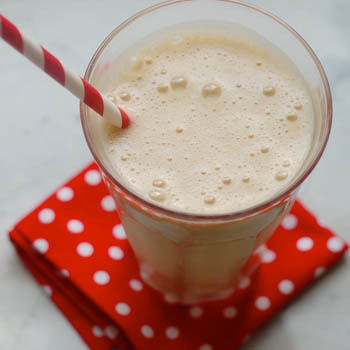 Milk is a mainstay in so many smoothie recipes. And for good reason: It not only lends a creamy texture, but it also delivers a dose of protein for staying power, which is important in a breakfast drink. But you don’t have to skip the milk in smoothies if you’re lactose intolerant – and you shouldn’t! Lactose-free milk, such as Lactaid, swaps in one-for-one for regular milk in any recipe. It also packs the same nine essential nutrients as regular milk, including calcium, vitamin D, and potassium, which can be hard for some people to get without dairy. The only thing it doesn’t have is the lactose, which is the natural milk sugar that those with lactose intolerance have trouble digesting. This rich and satisfying Lactose-Free Peanut Butter Breakfast Shake contains another sweet surprise: Dates, which add loads of sweetness without any added sugar. Here’s a trick for pulverizing them in the blender: Soak dates overnight in a small dish of milk (regular or lactose-free). The dates will soften and be much easier to blend the next morning. 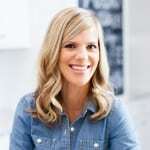 On her blog Real Mom Nutrition, Sally Kuzemchak, MS, RD, writes about feeding kids and staying sane and shares easy recipes for meals and snacks that make life easier. She lives in Ohio with her husband, two boys, and one dog. Love, love milk. I live in Ohio, & wonder where can I buy milk in a glass jug. That’s how they sold it when I was a child. Does anyone still sell it like that? There are a few options in Ohio – we’ll email you!